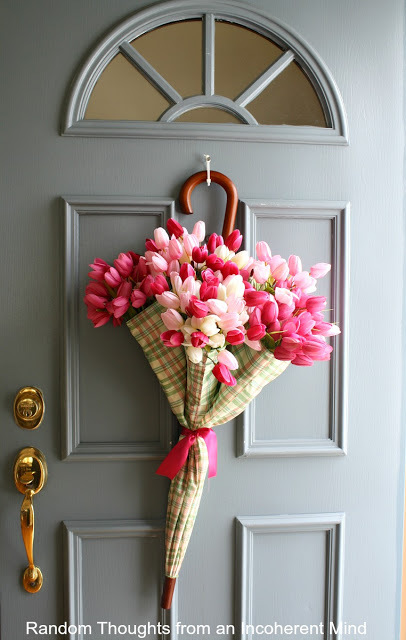 Do you have a pretty spring wreath on your door? I have had a commitment problem with spring wreaths this year! 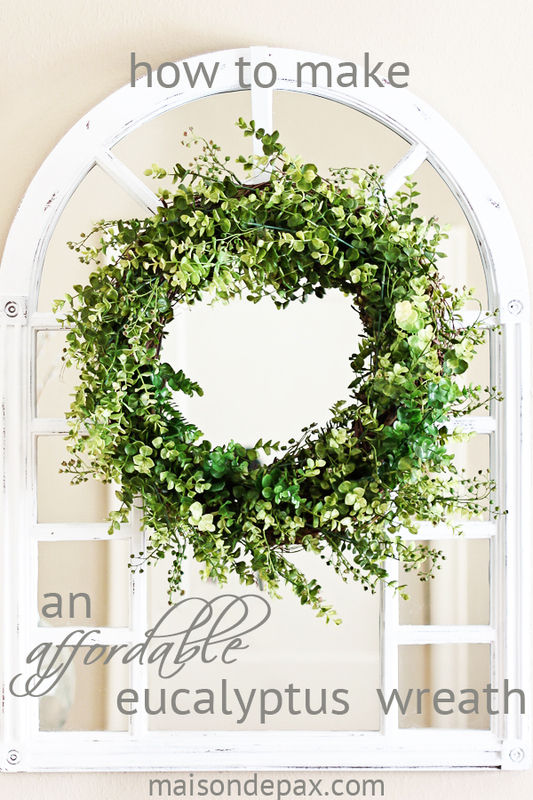 Typically, I don’t like to buy ready made wreaths from a store. 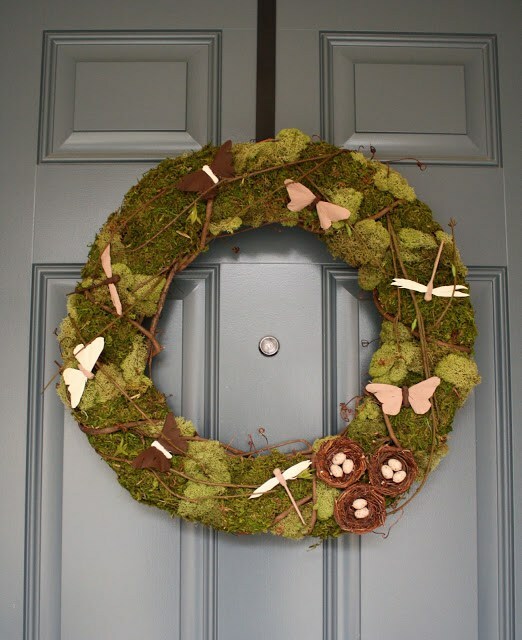 One – because the ones that are really nice are more than I want to spend for a wreath. 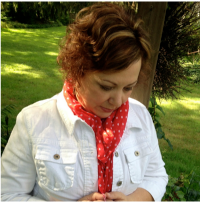 Two – because the ones that are less expensive, look less expensive! So, I normally make my own. 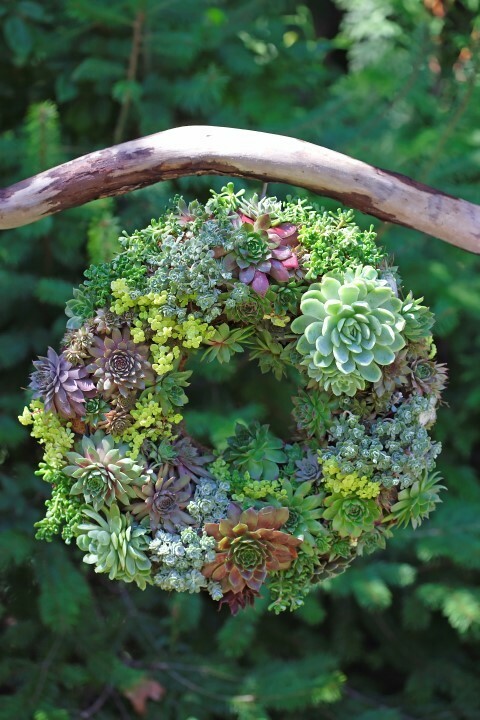 Yesterday I was going through my Pinterest Wreaths board and picked out a ten of my favorites – hoping to inspire me and you! 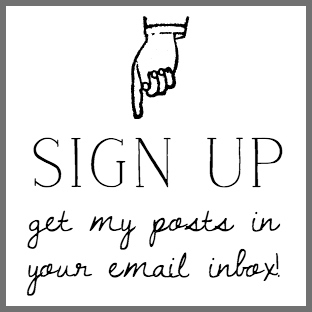 At the end of the post, I’ll share the one that I am going to make for my front door! 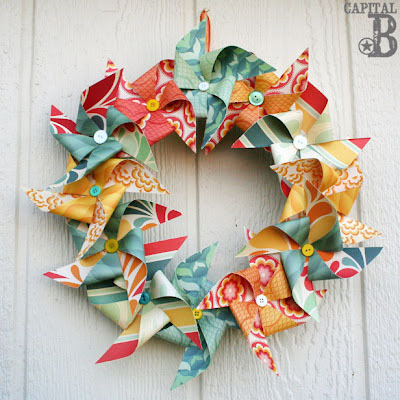 Each wreath image has a bold title that links to the maker’s blog post. 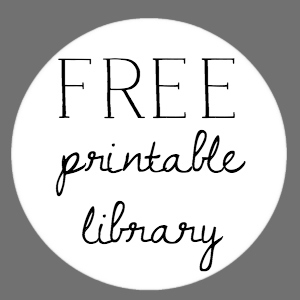 Please pin by following those links to properly credit the maker. Wasn’t that an amazing round-up of wreaths! 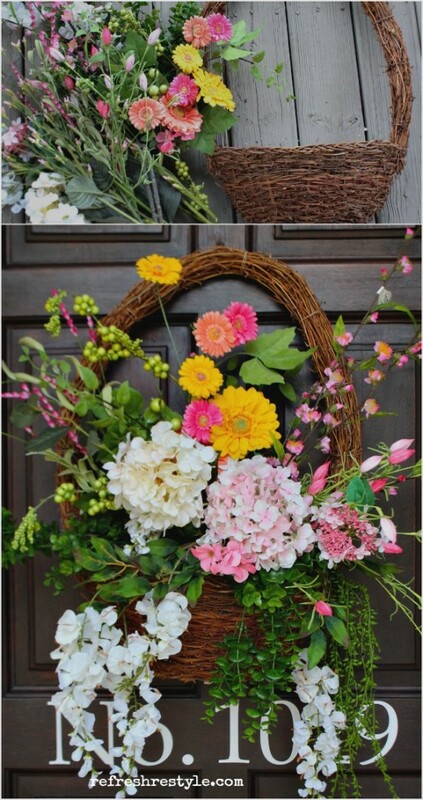 But, this last one is what I have chosen for my spring wreath inspiration! 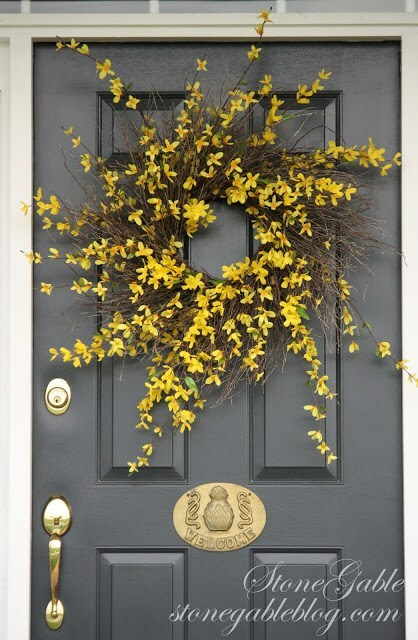 Won’t those bright yellow lemons look amazing on my aqua blue front door!!! 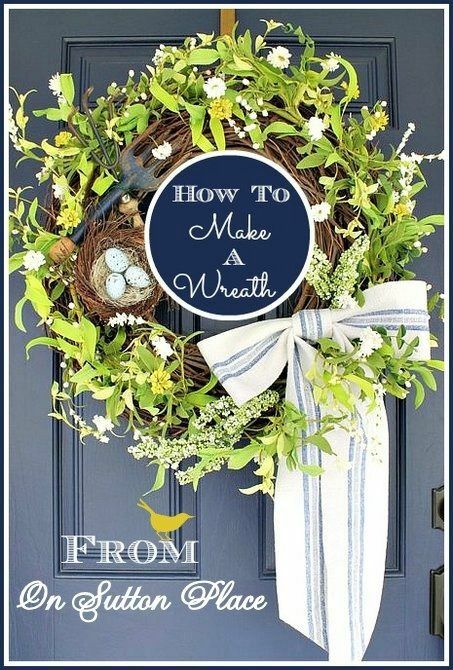 I tried to track down the source for this wreath, but it seems like it was from an Etsy seller that no longer makes it. 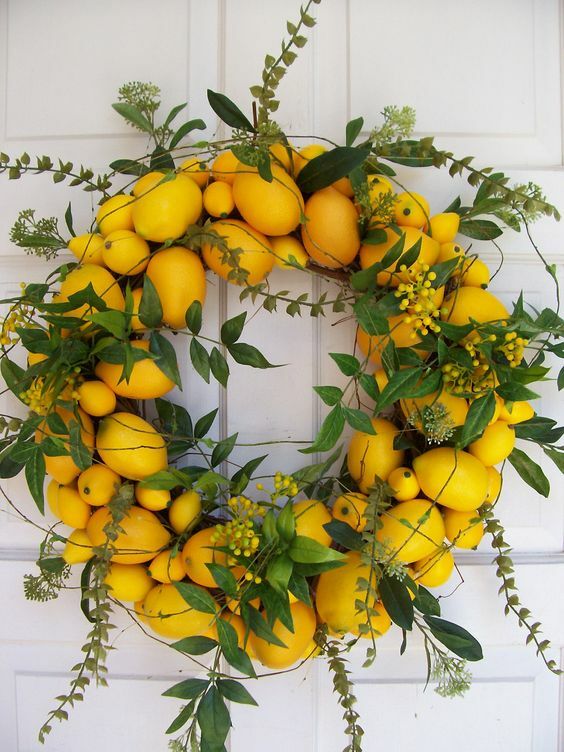 But, I’m going to try to recreate this for my front door – let the search for faux lemons begin!!! 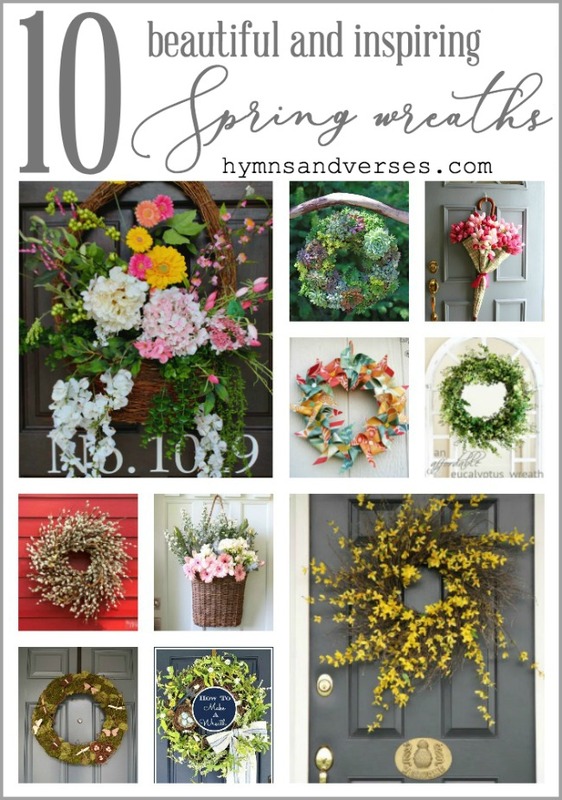 I hope you were inspired today with some of these Spring wreaths from my Wreaths pin board. 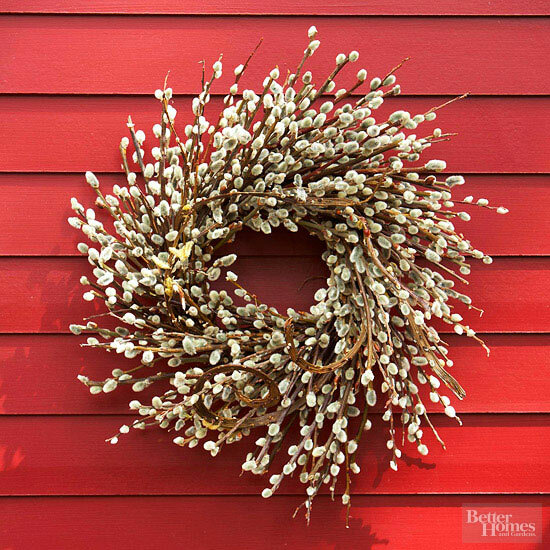 I have over 150 wonderful wreaths on the board and add new all the time! I’d love it if you follow me there! 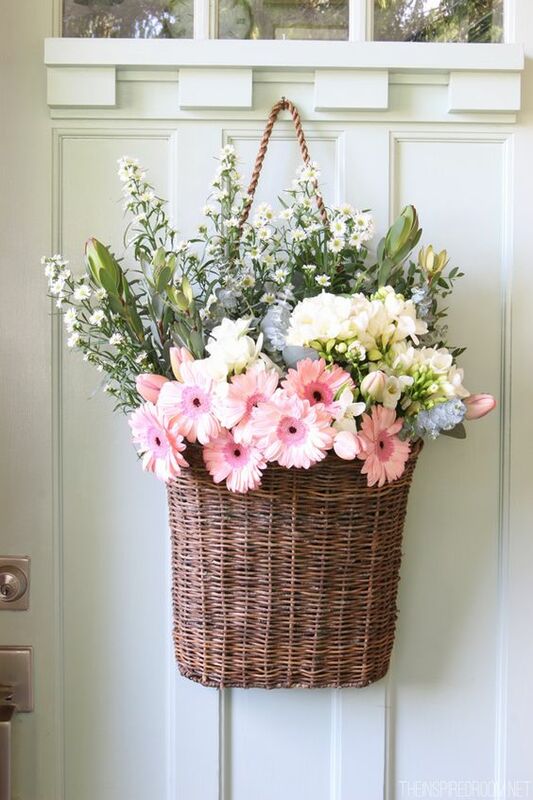 Now, if you aren’t into DIY or just don’t have the time this year to make a wonderful wreath yourself, visit THIS post for gorgeous spring wreaths that you can purchase and have shipped to your front door!